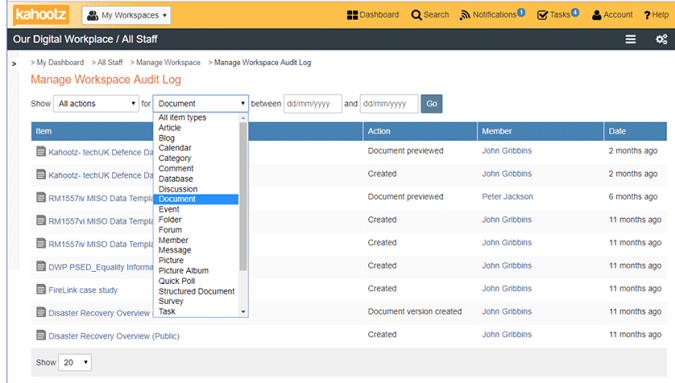 Kahootz’s comprehensive yet easy-to-use controls help you to manage your users and their access to sensitive information. It only takes minutes to create your own Kahootz site. By separating each new site, we ensure your collaboration site can only be accessed by you and those you want to be in Kahootz with. Access control can also be strengthened with two-step authentication and your own password policy. 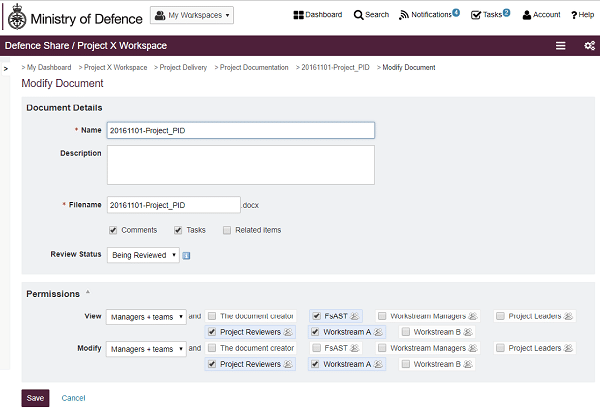 Kahootz makes it easy for your project teams and community managers to tailor and manage workspaces for a wide range of business uses. 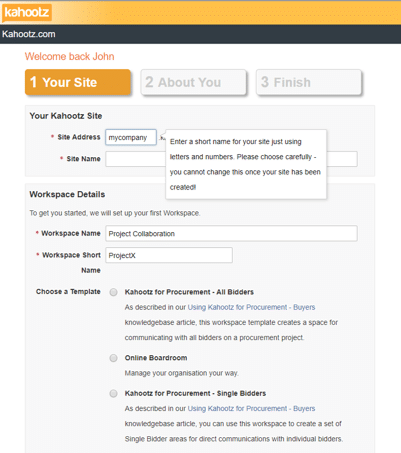 You can have as many discrete online workspaces as you need within your Kahootz collaboration site, and you decide who is allowed to create and manage them. 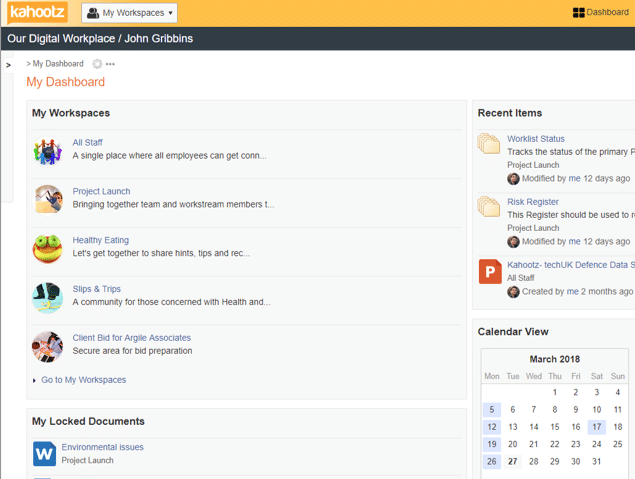 You can invite people to join one or more workspaces, each with its own membership and team-based roles. Our flexible and granular permissions let you set view and edit rights on every folder, content item and Kahootz feature – giving you total control of what users can see and do. 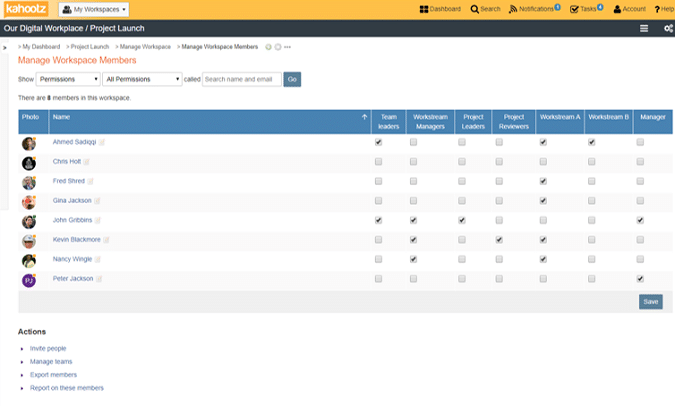 Kahootz keeps a full audit of workspace and user activity, including notable events such as document downloads, changes to content, and the last time each user logged on. So you can see at a glance who did what, and when.